the porous open spaces. As Jackson sets the tone for the piece, Adasiewicz employs a beautiful use of sustain as Adasiewicz to build up rich, blue waves of polyphony. “Swap” is a freer, more forceful performance. With it’s intricate counterpoint established at the onset of the piece, “Swap” finds the duo flying out into an improvisational abyss, spinning together new bits of dense harmony and rich melodic portraiture. moments. 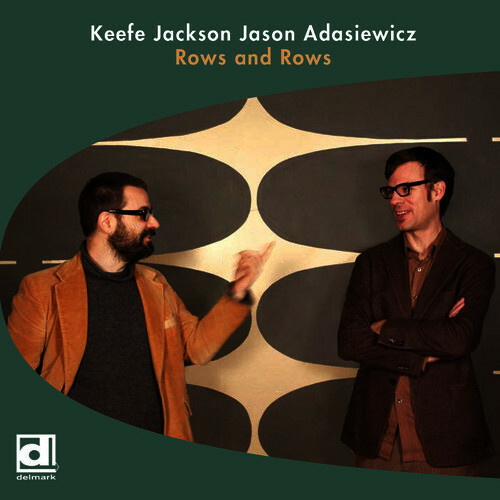 Remarkably, both Jackson and Adasiewicz manage to remain anchored to the rhythmic and melodic grounding of the piece’s main theme, while their playing seems to search out further and further, exploring the atmosphere around it, like two kites being flown on strings, spiraling upward, thousands of miles away from the Earth’s surface.